No one can assign a dollar figure to the death of a loved one. However, combining the costs of care, reduced income, decreased household productivity and disability associated with treating medical errors can total between $17 and $29 billion dollars annually. Other losses include decreased confidence in America’s healthcare system, loss of satisfaction with health care by patients and providers, physical discomfort and increased hospital stays for patients suffering from the medical error. Lower morale for healthcare providers, lower school attendance rates, and decreased health status of the population are additional losses attributed to medical errors. According to a 2006 report, medication errors are the most prevalent type of preventable mistakes. Approximately 1.5 million people suffer adverse reactions each year, resulting in at least $3.5 billion being spent to care for the patients suffering from these errors. The study also showed that each hospital patient suffered at least one medication error per day during an inpatient stay (Medication Errors Injure 1.5 Million People and Cost Billions of Dollars Annually, 2006). Drug-related errors in hospitals that could have been prevented are numbered at 400,000 per year. These are the errors that generated $3.5 billion in unnecessary healthcare costs. Preventable medication errors for patients in long-term care settings were calculated to occur at a rate of 800,000 with an associated cost of $887 million dollars. The number of occurrences for Medicare only patients in outpatient clinics was listed at 530,000. As high as these costs are, lost productivity and lost wages are not included (Medication Errors Injure 1.5 Million People and Cost Billions of Dollars Annually, 2006). Implementation of Computer Provider Order Entry to transmit medication orders is expected to reduce the error rate of medication administration. Studies have calculated a 55%-86% decrease in serious medication errors and an 84% decrease in adverse drug events associated with CPOE functionality. Potential savings to healthcare organizations implementing an EHR have been calculated. Billions could be saved each year if healthcare information was electronically shared between providers and healthcare organization using a standard format. Another study completed by the RAND Corporation took the cost-savings model further and calculated the annual net value of a fully functional EHR system using a 15 year phased implementation approach. A net value of $113.9-$220.9 billion could be saved nationally after deducting the approximate cost of $7.6 billion for system implementations. Savings associated were categorized as efficiency at $77 billion, safety at $4.5 billion, and chronic disease management at $40-$147 billion. A benefit associated with the implementation of an EHR relates to the facility’s standing in the area it serves. Improved quality of patient care resulting from electronic healthcare records can increase name recognition and branding in its geographical market. This branding increases the likelihood that patients will choose the facility for providing healthcare. It also serves as a marketing tool for recruiting physicians and developing physician referral patterns. Coordination of care is significantly improved and the information is available to providers regardless of their physical location or time of day. Electronic documentation provides real time entry of patient health information and promotes accuracy of the data. It increases the efficiency of the referral process and the patient information available to the consulting physician is more comprehensive. Combined use of any of these features facilitates improved quality of patient care, promotes patient safety, and ultimately reduces morbidity and mortality rates. Cost savings can be achieved when the documentation system is integrated with the billing system. This is accomplished in several ways. Charge capture is improved, so missed revenue is reduced. Reimbursement of billed services, as a result of more accurate documentation, is increased. Elimination of labor-intensive entry of billing information reduces staffing costs and the potential for human errors. Evidence also suggests that the physician will see an increase in revenue due to improved workflow associated with a computerized patient record. Improved workflow allows the volume of patient appointments to be increased with proportionately minimal effect on current staffing levels. Healthcare has changed and evolved over the years and so has the documentation associated with the care provided. In order to meet the growing needs of the patient, healthcare providers, and other major stakeholders, the prevailing manual system needed to be replaced. Technology has provided the opportunity to make these changes. 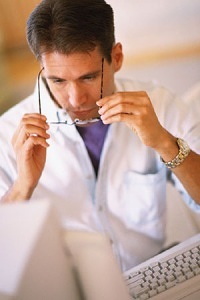 Healthcare providers are developing strategies for implementing and funding EHR systems using the available technology. These systems will need to address the areas of patient safety, quality of patient care, and continuity of care while maintaining patient confidentiality and protecting personal health information. Financial savings and returns on investments are also important considerations when implementing an EHR. Organizations and facilities that have already started the implementation of an EHR have achieved positive results and associated benefits. It is expected that completing each level of implementation will result in increased benefits to everyone involved in the healthcare community. You want to be able to expedite the review of electronic records. You know that electronic medical record use will increase as more facilities and physician offices invest in this technology. Do you want to sharpen your skills in understanding the intricacies of electronic medical records (EMRs)? Are you an attorney who needs to probe the details of an EMR but doesn’t know what information is hidden? Do you need to analyze the information in reams of printed EMRs? Med League specializes in locating well-qualified medical care expert witnesses nationwide. Our EMR experts have extensive experience of implementation of EMR systems, clinical expertise and deep understanding of backend EMR system database. Contact us for your next case.